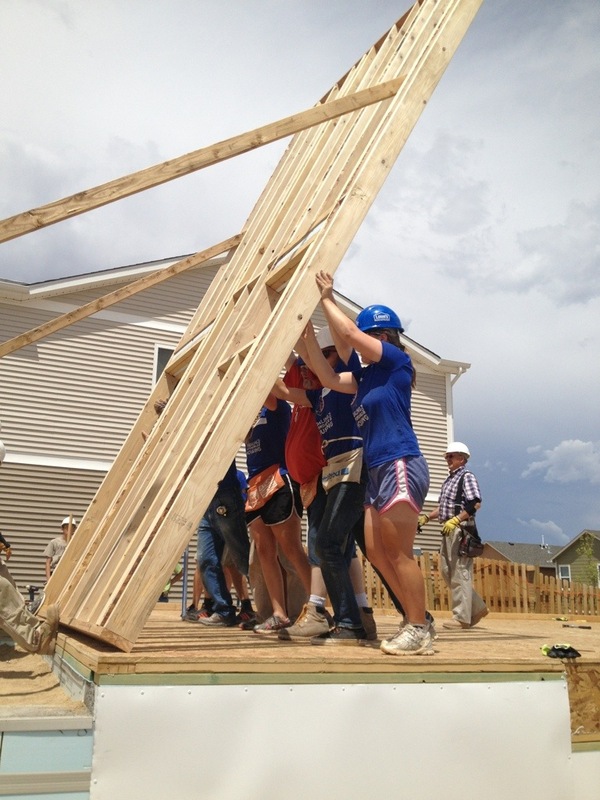 Days 43-44: Best two build days we’ve had so far!! 1. 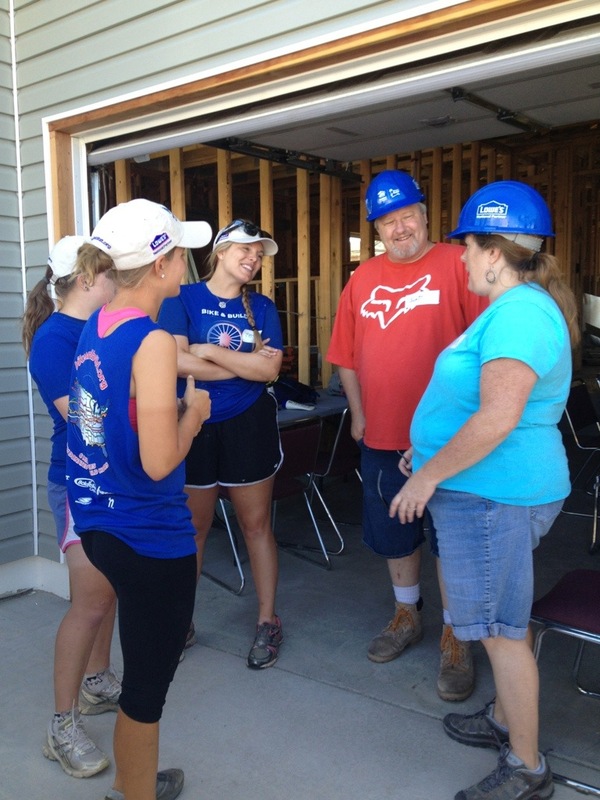 We get to engage in service with one another, and with the local Habitat affiliate! 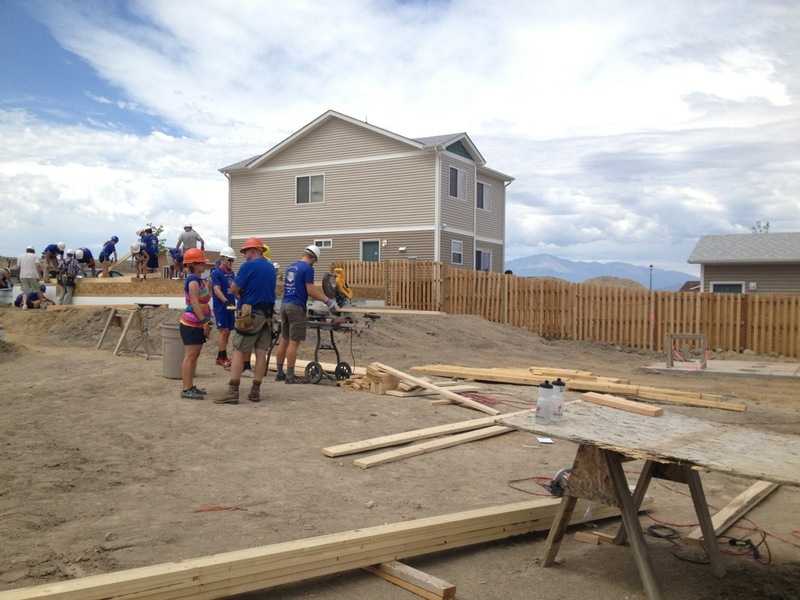 We got to the beautiful build site, which looked out to Pikes Peak! There was a really cute dog to play with too, and since we all are lacking puppy therapy in our lives these days, we took turns holding Pixie, who was very calm for a little chihuahua! 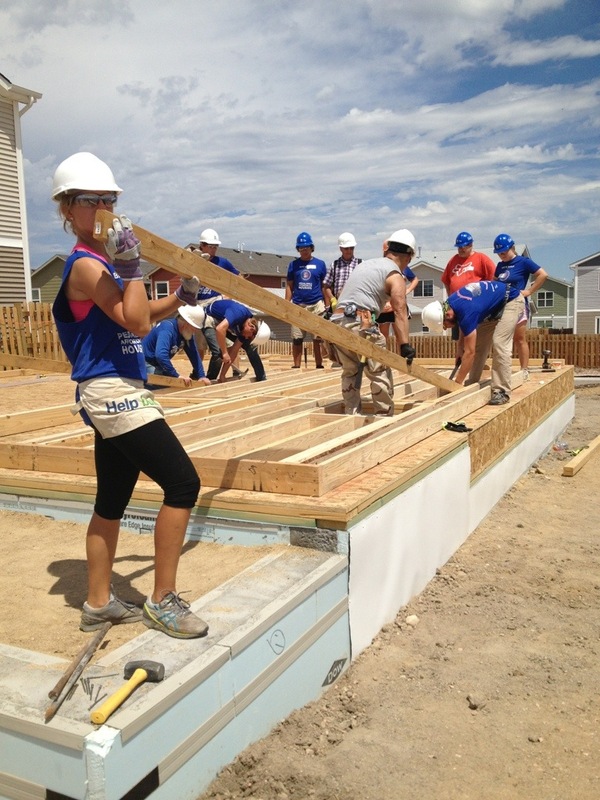 This was an especially cool build site because we worked alongside a lot of Habitat for Humanity beneficiaries. 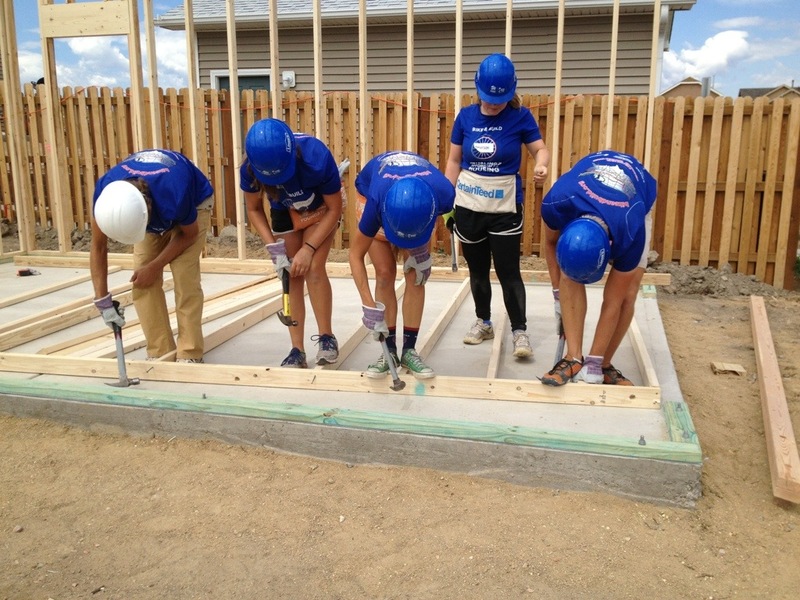 When a family goes through the process of owning a Habitat home, they have a certain number of volunteer hours that they have to complete on the build site. 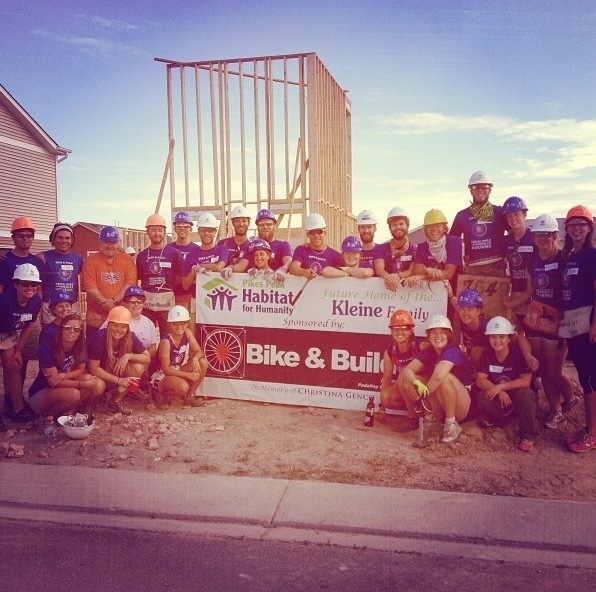 The absolute best part of these two days was working on a home that would be completed by the SC2SC Bike & Build route that would be staying in Colorado Springs for a week after we left! 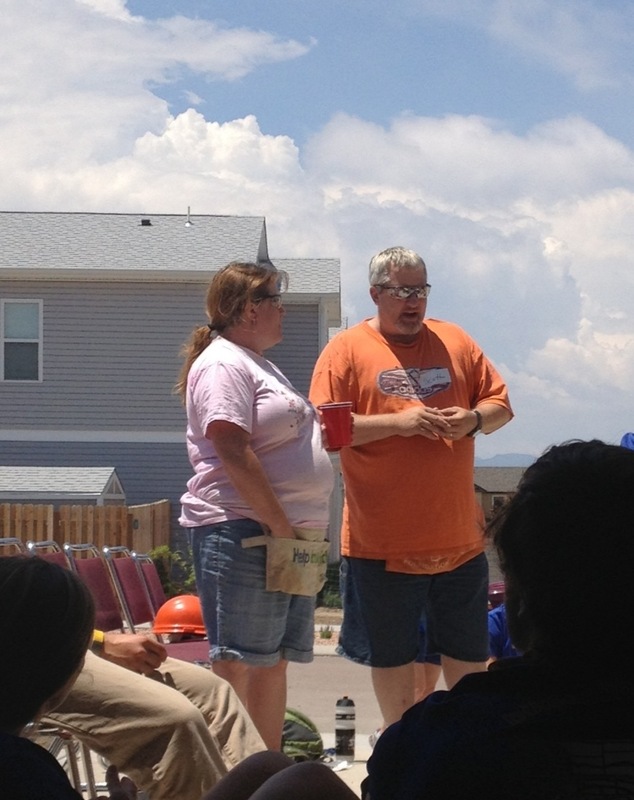 AND we got to work alongside Karen and Scott, the future owners of the house we were building!! I cannot emphasize enough how incredible this couple was. 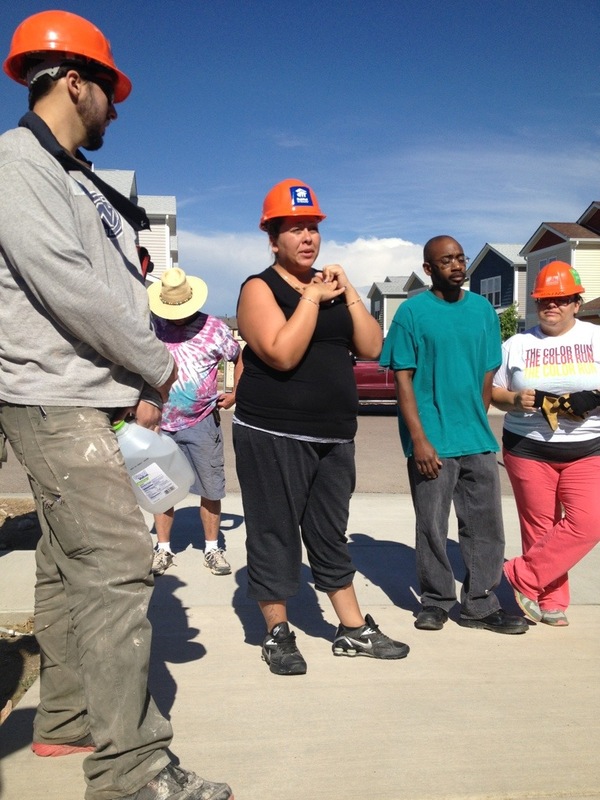 They said “thank you”‘to each of us individually on the build site more times than we can count on both hands. 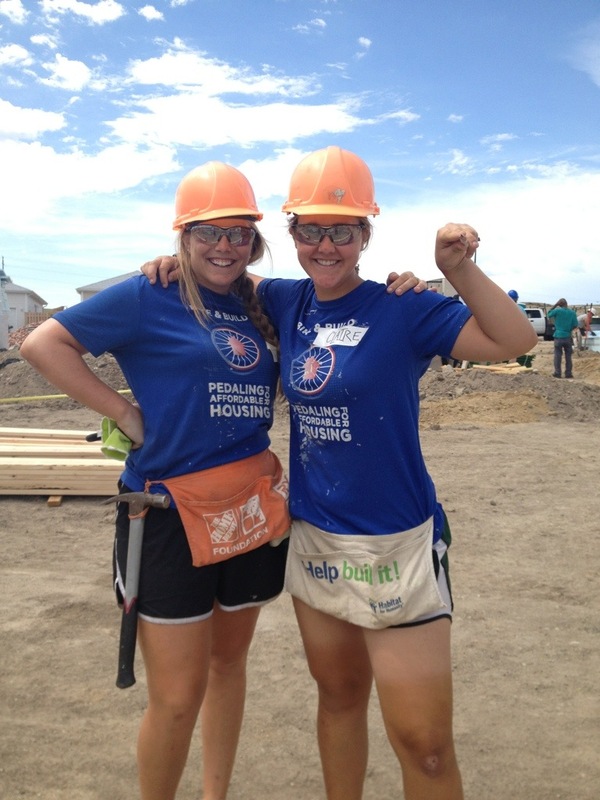 They were so grateful for the work we were doing. 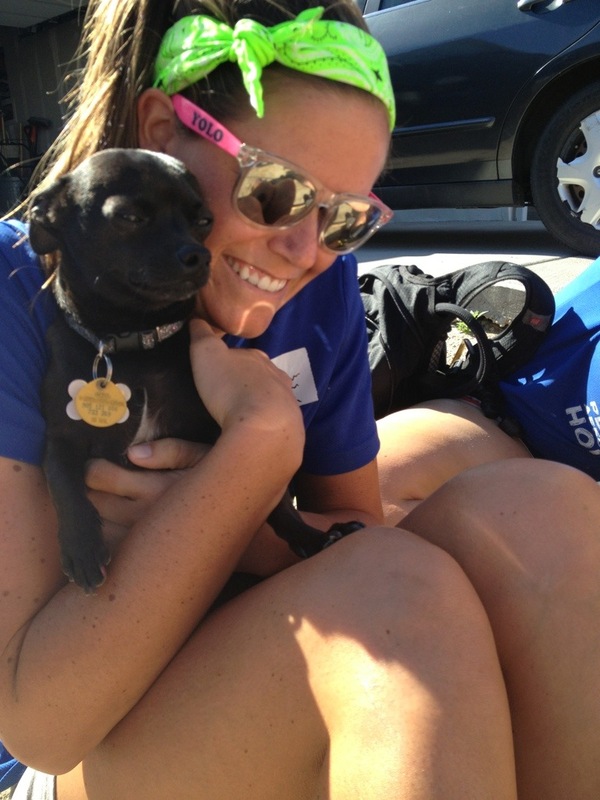 We got to meet some other beneficiaries on these build days too! 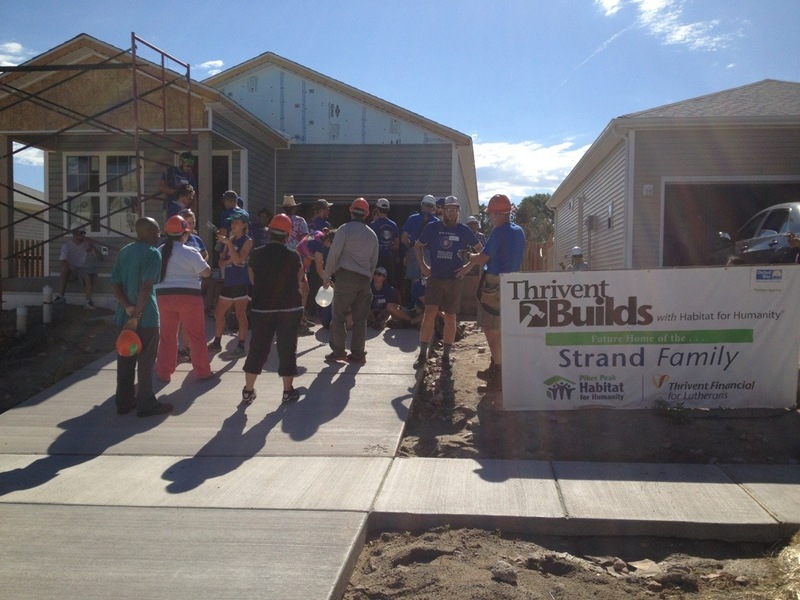 They all lived in this neighborhood called Woodmen’s Vista, which contains 37 Habitat for Humanity lots. 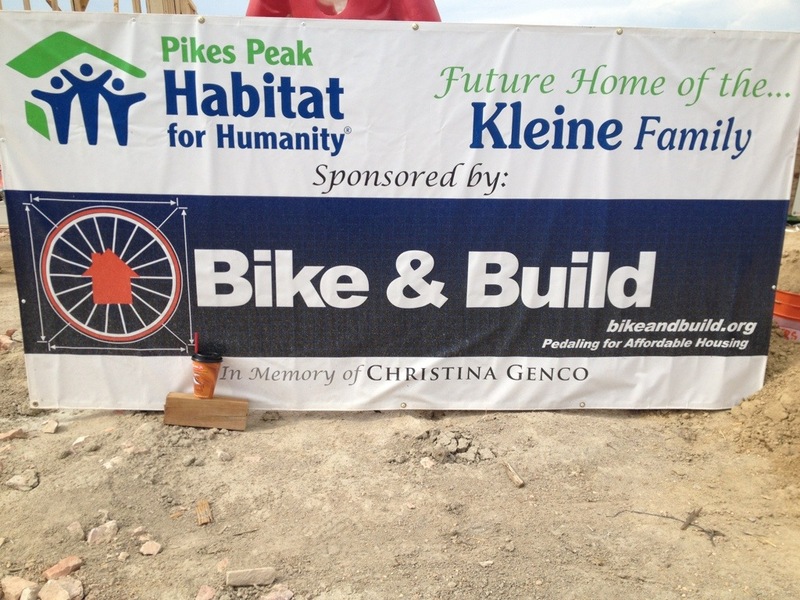 It was awesome to hear that 5 homes in this neighborhood were built entirely by Bike & Builders!!! I spent the first day working on building the garage, which was separate from the house itself. Most of my teammates worked on building the walls of the house. 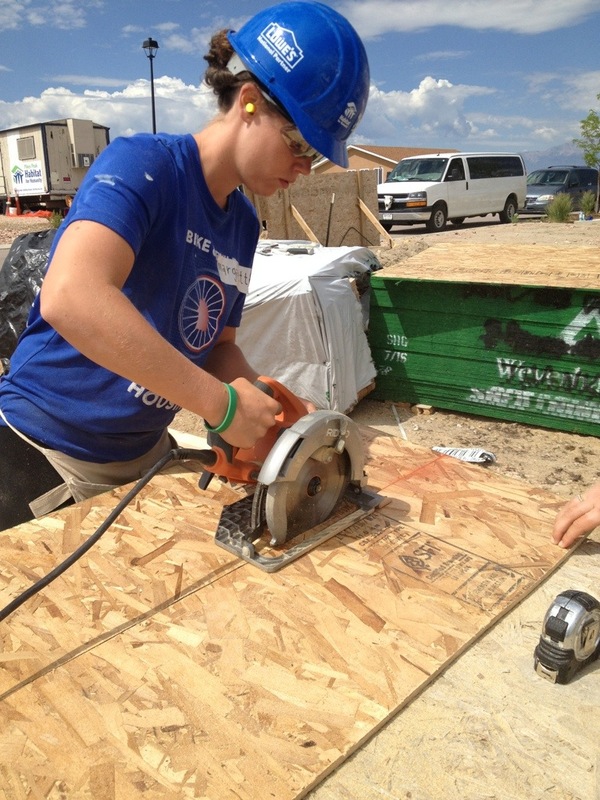 The second day, I was on circular saw crew with Meegan and Marge. 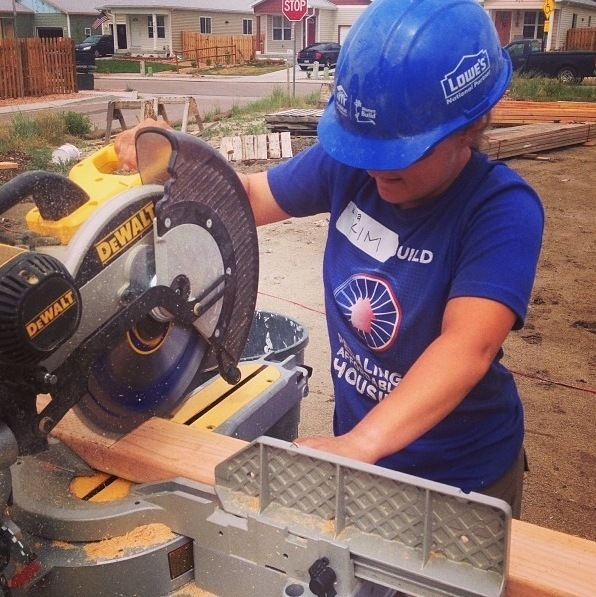 We took orders for specific measurements of plywood to cut for framing, and since we’re women, we pay better attention to detail (it’s just the way it is, boys), so our cuts were almost always perfect. I might be bragging a little. 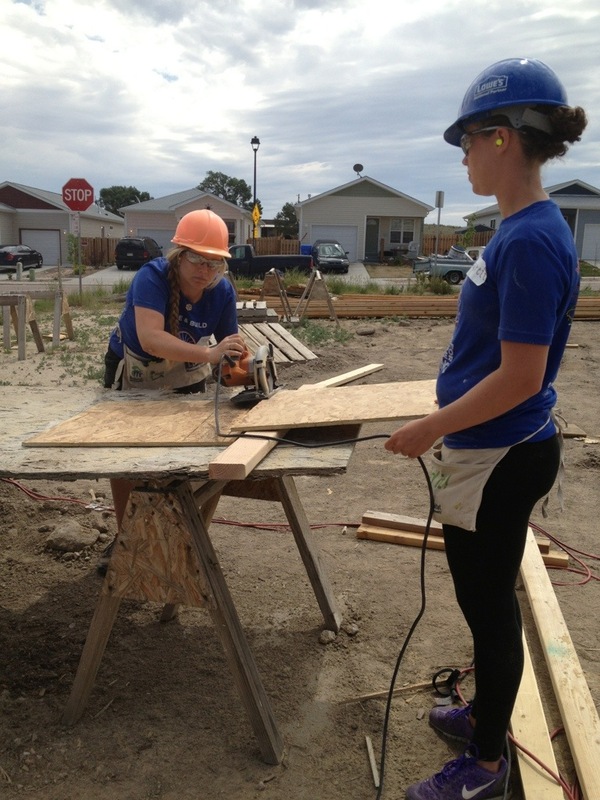 Some exciting news came for me this day: I was offered an Americorp position with Habitat for Humanity in Charlotte, NC (the same affiliate that we worked with when we had a build day there), and I accepted it !!! I’m very excited to move to a new city and dedicate a year of my life to a cause that I’ve only just begun to learn about this summer!! 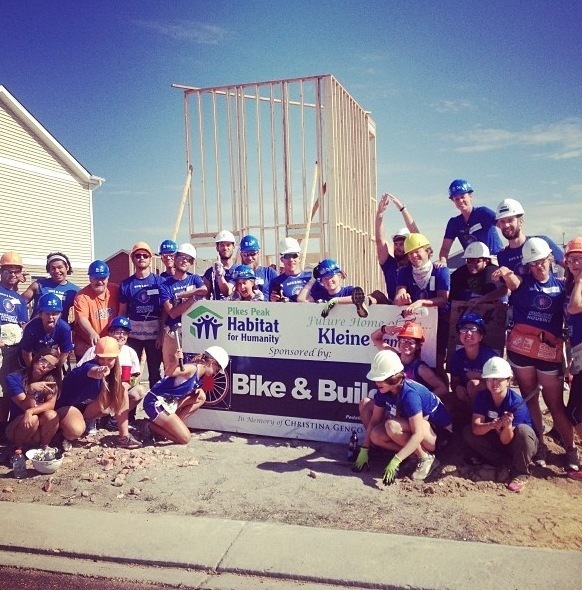 Overall, a really awesome couple of build days with excellent, hilarious Habitat construction leaders that made the two days spent there SO much fun!! In other news, many of us have experienced illness or just minor physiological changes due to the altitude. 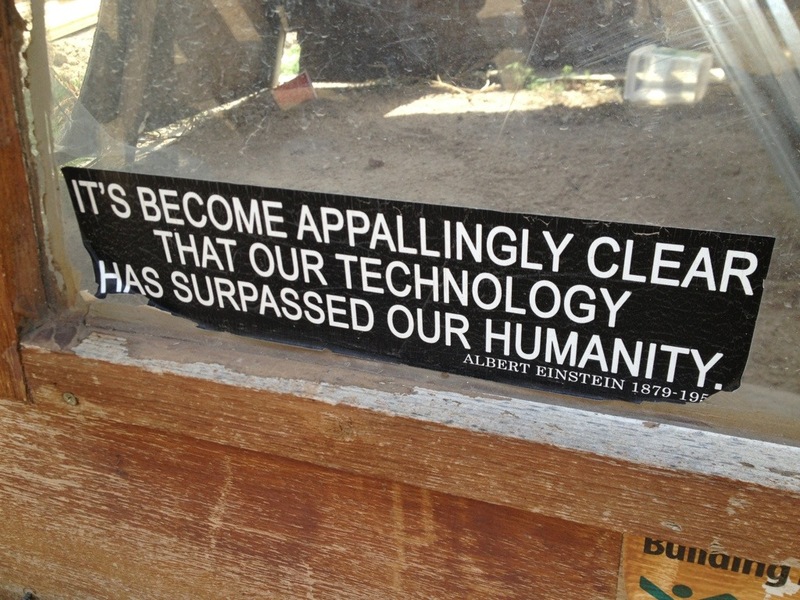 We tend to overuse this excuse toward things that it really doesn’t apply to. For example, someone farted in the van on the way to the build site and said “sorry, it’s the altitude”. You could probably slap someone in the face and as long as you said “sorry, it’s the altitude”, you would probably be forgiven. It’s gonna be a bummer when we can’t use this as an excuse for everything anymore.